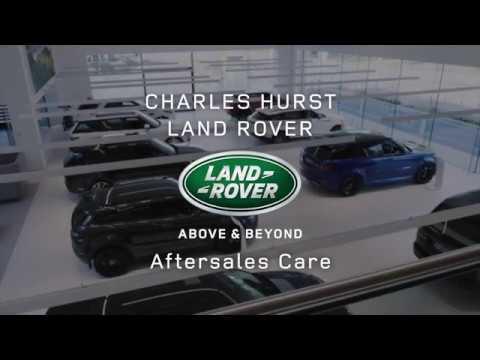 Why Choose Charles Hurst Land Rover For Aftersales Care? Regular maintenance and servicing is important for any car to help ensure its optimum safety and performance. Having your Land Rover maintained by an Approved Service Centre using Genuine Parts ensures the very best care for your vehicle. With over 100 years experience within the Automotive industry, we pride ourselves on our high standard of expertise and customer service. When your vehicle visits our Aftersales Department for repair or maintenance, you can be confident that there is no better team who will be responsible for your Land Rover than our Level Four Manufacturer Trained Technicians. Regularly attending up-to-date training sessions, they understand everything there is to know and more. Furthermore, having recently invested in over £1 Million pounds on innovative, state-of-the-art equipment, rest assured your Land Rover will drive out of our workshop feeling as good as new.